It was business as usual for Haydon Pinhey from Plymouth as once again he took the winners rostrum in the first West of England Billiards & Snooker Foundation, Silver Waistcoat Tour event of the season. Pinhey only dropped one frame on his way to the final and set the highest break mark at 64 in the group stages. In the final Pinhey was met by Thomas Lancastle from Bristol who pushed him to a final frame shoot-out. Lancastle had the wining line in his sights but saw victory slip away after jawing the pink to take the match. Pinhey wasted no time to step in and take the win. In the semi finals Pinhey beat Brett Broad from Redruth while Lancastle beat Chris Coumbe, Plymouth. Both losers having played well to come through from the previous round. Coumbe beating fellow Plymothian Adam Lewin and Broad edging out Bradley Anderson, Tavistock. The other quarter final matches saw Dan Legassick narrowly lose to Lancastle, despite posting a 44 break and Jake Frank pushing Pinhey all the way before losing the deciding frame. The group stages saw a few new players from around the region come to the Silver tour; Ryan Smith, Arron Hide, Aaron Cook, Reece Watters, Greg Midwinter and Wayne Pellow. all of whom held their own and show promise for future events. The best breaks from the groups saw Pinhey the pick of the bunch with 36,53,56 and the aforementioned 64. Coumbe made a 44 and a 37; Legassick a 51; Lancastle a 44; Lewin a 39 and Frank 41. Plymouth potting star Haydon Pinhey was pushed all the way before notching back-to-back victories in the West of England Billiards & Snooker Silver Waistcoat tour for under 22 year olds. For the second event in a row Thomas Lancastle from Bristol took Pinhey to a deciding frame, this time in the semi-final, before conceding victory. Pinhey’s adversary and fellow rising star from Plymouth Dan Legassick also pushed Pinhey into a decider in the final but, once again, Pinhey was equal to the challenge and took the winners spoils. In the other semi-final Legassick beat Lee McArthur from Torquay. In the quarter finals Lancastle narrowly beat Adam Lewin from Plymouth; Pinhey beat Chris Coumbe also from Plymouth. Coumbe did not come away empty handed as he won a sweepstake for a quality made-to-measure cue by Plymouth cue maker, Tony Reed. McArthur beat the fast improving Reece Watters from Tavistock and Legassick made a 47 break to beat Arron Hyde to complete the quarters. The Group stages produced a number of fine breaks, the best by Pinhey, a classy 73 clearance. Pinhey added other breaks of 44, 45, & 67 on his way to topping his group. Hyde, the only player to take a frame off of Pinhey, made a 39 break to qualify in second place. Lancastle played solid snooker all day, recording breaks of 30, 47 & 47 to remain undefeated to win group A. He was joined by Watters in close second. McArthur won group C ahead of Lewin and Legassick, who dominated the final group with breaks of 48 & 62, was joined by final qualifier, Coumbe. Talented Plymouth Snooker prospect Haydon Pinhey continues to be a dominant force on the West of England Snooker scene this season. His latest victory in event three of the West of England Billiards & Snooker Silver Waistcoat tour for under 22’s makes it three in a row. This keeps Pinhey in prime position at the head of the rankings. With three events to go nearest rivals Dan Legassick (Plymouth) and Thomas Lancastle (Bristol) need to pull out the stops in order to deny this prolific winner a second successive overall title. Legassick began the day on the receiving end of a couple of heavy defeats before fighting back hard to give himself a shot at Pinhey in the final. However, Pinhey, playing on his home tables pushed home this advantage and with his rich vein of good form won comfortably posting breaks of 54 & 33. Legassick put out Lee McArthur (Plymouth) and Reece Watters (Tavistock) without the loss of a frame in the knockout stages. As did Pinhey in defeating Chris Coumbe (Plymouth) and Lancastle. Lancastle made a couple of 39 breaks in his two early knock-out matches. With a reduced field due to transport issues for those travelling from Gloucester the early round robin group stages of the tournament was reduced to two groups. Group A was won by Pinhey with a clean sheet of wins knocking in a string of breaks (65,62,55,40,42,37 & 33). Lancastle finished in second spot with a 40 break, Watters came third, posting a fine 62 and the fourth qualifier, Legassick, made 39 & 45 breaks. In group B Adam Lewin (Plymouth) was undefeated making a 48 break, close behind in second place was Lee McArthur (Torquay) who made a 41 break before taking the overall tour highest break to 95, just failing to reach the century. Brett Broad (Redruth) and Chris Coumbe (Plymouth) completed the list of qualifiers. Plymouth potter Dan Legassick put the brakes on fellow Plymouthian Haydon Pinhey’s target of completing a white-wash of Silver Waistcoat events in a season. Legassick fought hard to beat Pinhey in a close final to take the prize money and valuable ranking points. Pinhey is still ahead of the pack but Legassick and others will take heart from this victory which has put a dent in Pinhey’s invincibility. In the semi-finals Legassick, helped by a 39 break, beat Brett Broad (Redruth) in another tight finish whilst Pinhey also posted a 30 plus break to beat Bradley Anderson from Tavistock. Both Pinhey and Legassick were flying in the quarters. Legassick knocked in breaks of 61 & 40 to beat Chris Coumbe (Plymouth) and Pinhey posted the best break of the day, a fine 81 with a 41 for good measure to beat rising talent, Reece Watters (Tavistock) by the odd frame. Other quarter final successes went to Anderson who beat Adam Lewin (Plymouth) and Broad who beat Thomas Lancastle (Bristol). Earlier in the group stages Legassick fought off Lancastle by the odd frame to win group A with the loss of just one frame. Lewin was edged into third place and Watters fourth. Breaks came from Legsssick; 32,38,45 & 45; Lancastle 40 & 51 and Watters 31 & 37. Newcomers Daniel Bull and Benjamin Buckingham showed promise in their first Silver Waistcoat experience. Pinhey was clinical in winning group B. He made a string of breaks; 37,45,49,51,59 & 72 finishing with a clean sheet. A three way tie went to frame count-back which saw Anderson finished in second, Broad in third and Coumbe aided with a 42 clearance the fourth player to qualify from the group. Two more new players came to the Silver, Ben Kapur and Mark Canning. Both gave their all, enjoyed the tough competition and will return to fight again. Five internationals plus other top youth players from around the region travelled to the South West Snooker Academy, Gloucester for the penultimate Silver Waistcoat Tour Event of the season. After a full day of play internationals Eden Sharav (Scotland) and Callum Lloyd (Wales) met to contest the final. Both players progressed to the final undefeated but it was Sharav who ultimately proved the stronger to win 3(71)-1(55). In the semi-finals Sharav ended Chris Coumbe’s excellent run, aided by a clinical 75 break, while in the other semi-final Lloyd halted another superb effort from Reece Watters from Tavistock. The best break of the day was made by Sharav in the quarter finals, he fell just a few points short of a century on 90, in a tough match against Ben Fortey (Hereford). Coumbe was made to fight out a deciding frame before edging out Brett Broad (Redruth), as was Lloyd against Thomas Lancastle (Bristol). Watters defeated Jed Mann (Gloucester) to conclude the quarter finals. Despite making the best breaks (44,48 & 68) in group A, Dan Legassick (Plymouth) failed to qualify behind Sharav (38) and Lancastle (67). Lloyd easily qualified from group B ahead of Broad. Newcomers to the WEBSF tournament Aidan Murphy (Bristol) and Mark Canning (Plymouth) failed to qualify but could be two to watch next season. Tour leader Pinhey made two 48 breaks but was out of sorts on the day by his standards and failed to qualify from a three way tie in group C. Fortey and Watters were the two to qualify from group C with Watters making breaks of 34 and 66. Coumbe won group D followed closely by Mann (Hereford). WEBSF Tournament Director Wayne Branton said, “With the top ranked players, Haydon Pinhey and Dan Legassick failing to qualify for the knock-out stage, Thomas Lancastle was able to close the gap in third place. Watching these three battle it out in the final event of the season should prove very interesting. Once again a couple of new players entered the tournament and fared well against tough opposition. The experience will hold them in good stead for next season. However, the day belonged to the international players from Wales and Scotland, Callum Lloyd and Eden Sharav. Both players added another dimension to the event and provided quality opposition for the younger and less experienced players.” The Silver Waistcoat is for players who were under the age of 22 on the 31st December 2014. To find out more about WEBSF tournaments go to http://www.websfsnooker.com WEBSF Facebook or by contacting Steve Canniford, Mobile 07891940995. Thanks to the South West Snooker Academy, Gloucester who sponsored the event. 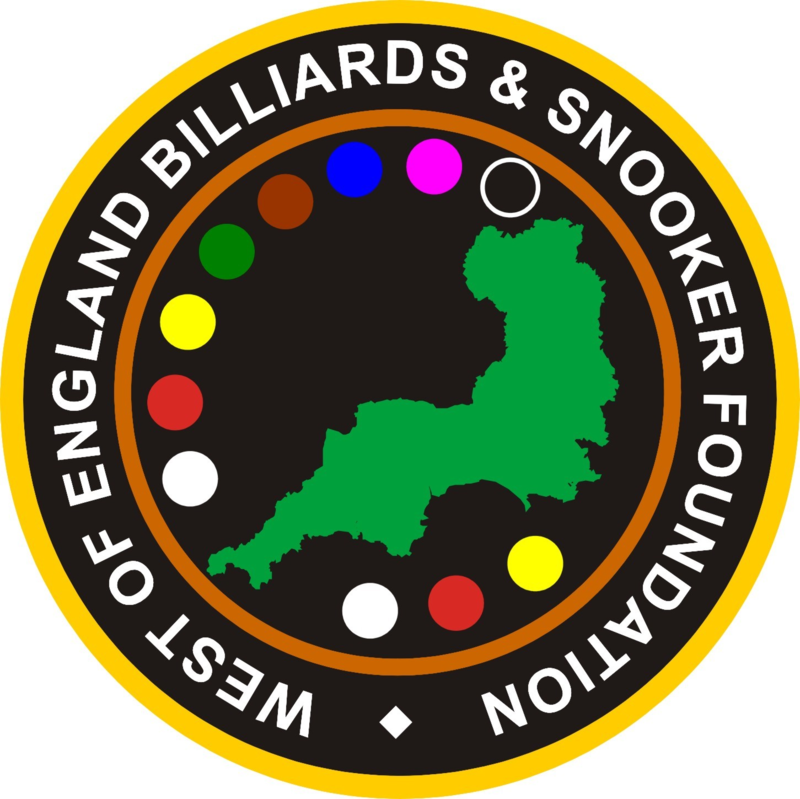 The final Silver Waistcoat Tour event of the season had to be re-scheduled, due to a full calendar of events at the South West Snooker Academy. The newly re-furbished Plaza Snooker & Pool Club, Plymouth came to the rescue and provided excellent facilities that included live streaming on the Internet of the final. All players responded to the superb conditions to produce excellent snooker throughout the day. Michael Rogers from Taunton continued his rich vein of good form to complete his season with a third successive West of England Billiards & Snooker tournament win. In the final Rogers was met by Jake Stewart from Truro. Stewart, playing in his first WEBSF event since last season due to educational commitments, produced solid snooker to reach the final. However, Rogers’ safety play proved to be the deciding factor to secure him victory. The semi-finals produced two very close finishes with Adam Lewin demonstrating that he is able to compete against the best under 22 players in the region, with a narrow 3-2 defeat against former two times Silver Champion Stewart. In the other semi-final Rogers and Haydon Pinhey battled to another deciding frame match which Rogers won 3-2. Pinhey posted a 30 break whist Rogers had a 35 & 49. Pinhey was a little disappointed at not reaching the final but such was his dominance earlier in the season, which saw him win three Silver Tour events in a row, that he finished top of the overall rankings by an impressive 740 points to take the coveted title of WEBSF Silver Waistcoat Tour Champion 2013. Rogers finished in second place edging Dan Legassick into third place by the closest of margins on event results count-back. Pinhey also took the highest break prize on the day with a century. This also secured him the overall tour highest break prize, further emphasizing his standing as one of the very best young players emerging from the region. Other players that did well to qualify from the group stages included Thomas Lancastle (Bristol), Aaron Cook (Gloucester) and Chris Coumbe & Dan Legassick (Plymouth). In the group stages Legassick topped group A posting breaks of 40,44 & 69. Pinhey won group B with breaks of 37,38,42,51 & 100. Stewart won group C making breaks of 41 & 57, Rogers posting an 81 and in group D Lancastle made 32 & 36. New players Ricky Stuberfield and Ryan Smith both performed admirably on their first outing and will hopefully be back for more. WEBSF spokesperson said, “Another great win for Michael Rogers that promises even better things for him next season but let’s not forget the way in which Haydon Pinhey dominated the early part of the season and finished a worthy champion. Both these players along with Dan Legassick are showing great promise. Following closely behind are several other players who will re-set their sights and no doubt challenge hard next season. This season more than ever shows that if you provide the right environment, along with quality conditions and well run tournaments players will respond with great attitudes and quality snooker. To have The Plaza Snooker & Pool Club and the South West Snooker Academy as two quality venues is a real bonus and we hope to alternate tournaments between the two. The WEBSF thank them both for their sponsorship throughout the season.” Details of this and other WEBSF tournaments can be found on http://www.websfsnooker.com WEBSF Facebook or by contacting Steve Canniford, Mobile 07891940995.